Our September ABC is all about the details! 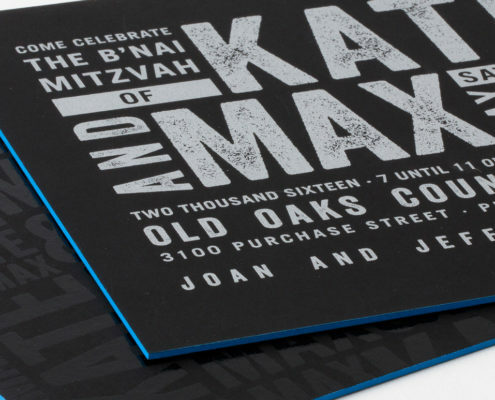 Ralph’s Bar Mitzvah invitation includes an unusual, ostrich-embossed vinyl envelope lined in a silky deep blue paper with a matching engraved ceremony invitation. 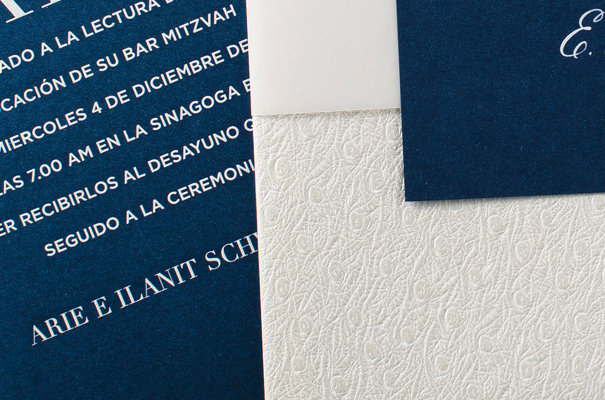 The Shabbat dinner card was simple and sophisticated with a reversed design of blue ink letterpress printed on white cotton paper. 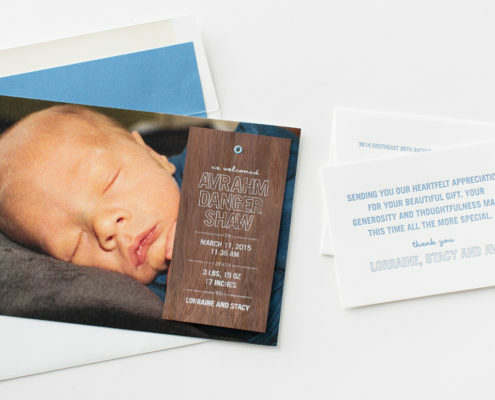 Mixing materials into a cohesive set is a signature Allie Munroe design trait. 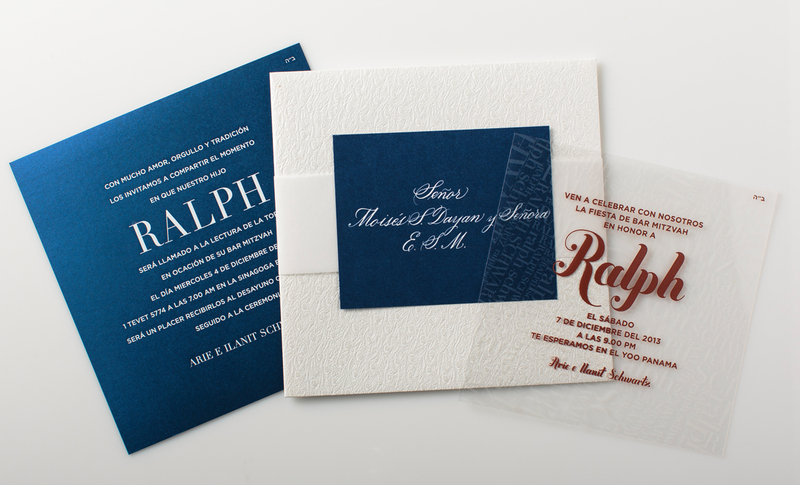 The set is complimented by a party card in flexible plastic with a subtle frosted pattern of Ralph’s name layered covering the back. 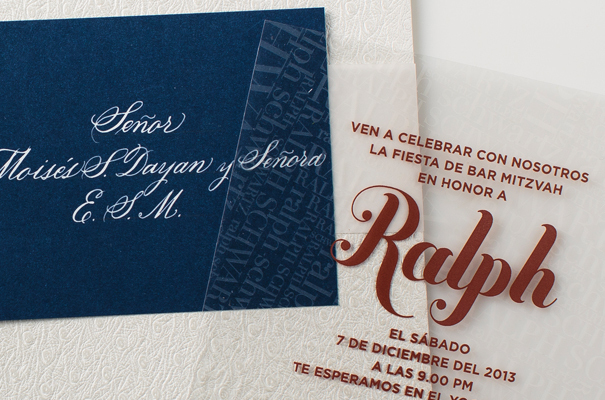 The set is complete with a custom wrap around label with hand written calligraphy for each guest’s name. Notice that the text is in Spanish? We are located in Miami, Florida, where Spanish often feels like the first language. 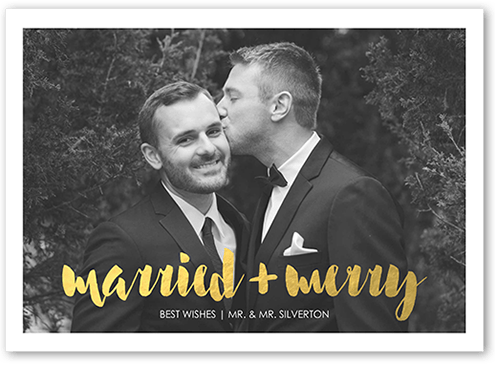 We have staff that speak Spanish and Portuguese, so we are very comfortable working with our South and Central American clients.